AML/CFT Phase Two is in place from 1 July 2018 for lawyers in New Zealand, 1 October 2018 for accountants, and 1 January 2019 for real estate agents. Our full governance and compliance solution for companies, trusts and individuals includes AML/CFT functionality at no extra charge. And with everything in one place, data entry is minimised and there's less chance of clients being missed or duplicated. 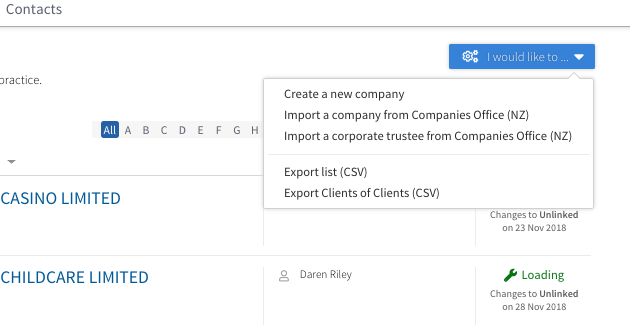 Companies, along with the names and addresses of directors and shareholders and all shareholding, are imported in seconds from the Companies Office individually by your firm or in bulk via a loading template that can also contain additional information. Trusts, partnerships, and individuals can be added by your firm at any time. Or again, bulk-loading templates are available to speed up the process. If you've identified the beneficial owners of the trust as part of your trustee or management duties, you're already able to start the CDD process. Once clients are loaded, you can start a workflow process to complete the appropriate level of CDD by entering information in the custom fields in Connectworks that are taken directly from the legislative requirements. Clients will be able to supply the required information and upload scans of identifying documentation directly into Connectworks. You get notified when their information changes, and you can choose to accept it into your database. Once you complete CDD for a client, the renewal date is automatically added, but you can override it if you wish. Reminders will appear in your Connectworks calendar, and you can filter your client list to identify any that are pending or overdue. The identity verification team we’re working with will be offering verifications for persons from major countries outside New Zealand at a slightly higher cost of $7-$10. 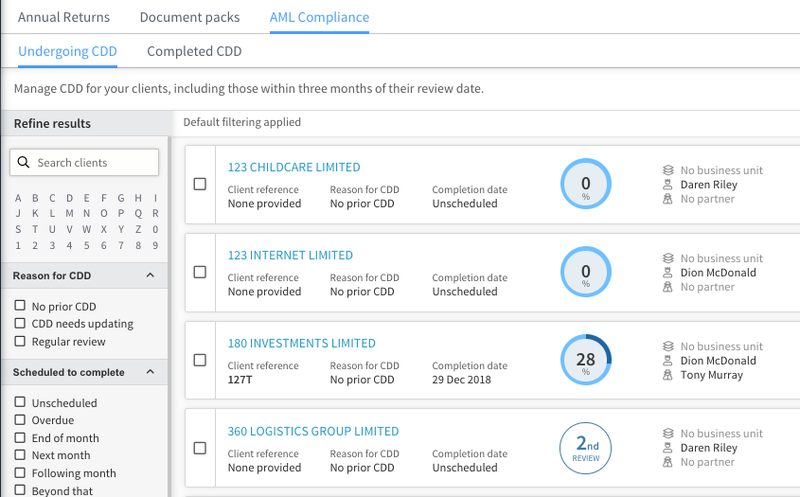 •Trusts, companies and individuals that aren't using Connectworks entity management subscription are just $5 each per client, per annum for AML/CFT-only subscriptions. 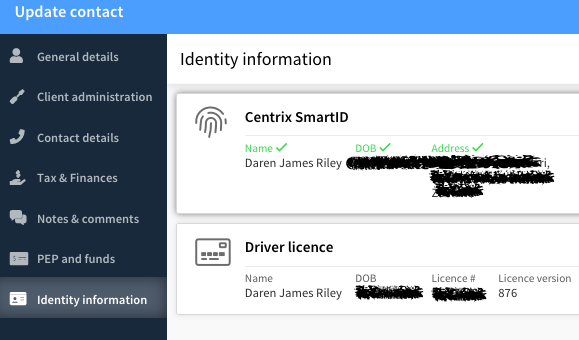 •Just pay additionally for any client identity information checks that you want to do via Connectworks (see below). • There is an option to add unlimited signing for just $5 extra per individual or entity per annum. This encompasses our flexible signing, document packs and a branded client portal for your firm. There is no limit on the number of staff who can access Connectworks from your firm and they can use it from and anywhere at any time.